The Canadian embassy in Doha has presented Canadian-authored works to the French Institute of Qatar (IFQ) on the occasion of the Francophone Week in Qatar. 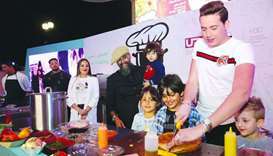 The Pearl-Qatar has successfully concluded the "first-of-its kind" live cooking show series held over two consecutive weeks, which was attended by hundreds of families. 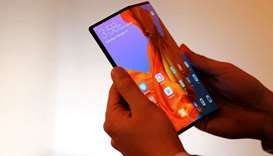 In one of the year’s most awaited events, Huawei Consumer Business Group launched the world’s first 5G Foldable Phone in a glittering ceremony on Sunday evening. A unique Sambo show will be presented in Qatar for the first time at Aspire Zone as part of the Qatar National Sport Day 2019 celebrations. 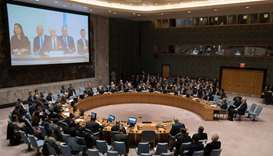 A Japanese freelance journalist being held by militants in Syria appeared to surface on video published by Japanese media on Wednesday, pleading for help after three years in captivity, the government said. 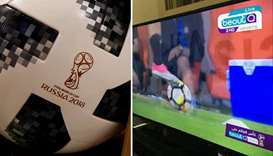 A diplomatic row means Saudi Arabia will be pirating all 64 matches of the Russia World Cup next month after banning the sports channel in Qatar, which owns the broadcast rights. 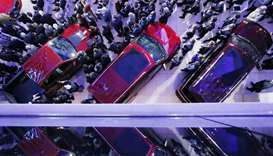 The Detroit auto show handed out its self-proclaimed ‘Oscars of the auto industry’ on Monday, rewarding Honda, Volvo and Ford amid a crowded slate of new truck, SUV and crossover unveilings. 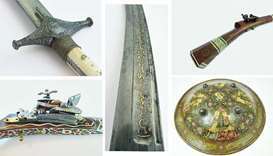 Qatari collector Fadel al-Mansoori will display his impressive Islamic arms and armour collection at the Museum of Islamic Art (MIA) at the opening of his exhibition this month and on view until May 2018. Alice in Wonderland being staged at City Center Doha as part of Qatar Tourism Authority’s Eid al-Fitr celebrations. 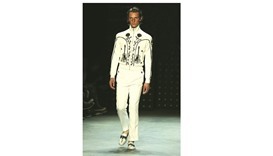 A model presents a creation at the Topman Design catwalk show at London Collections Men in London yesterday.